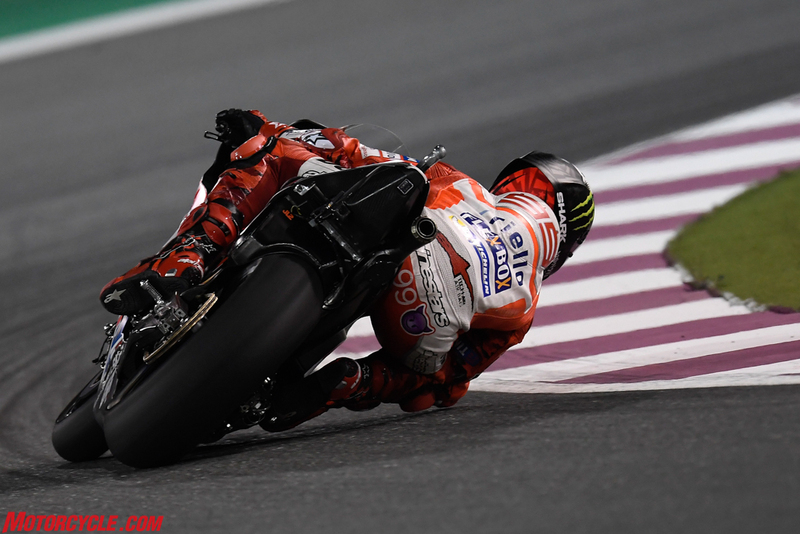 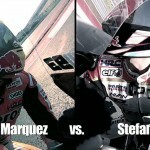 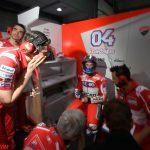 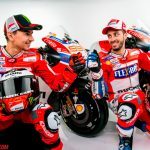 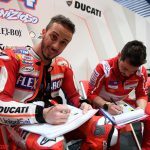 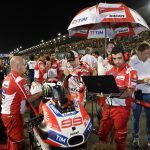 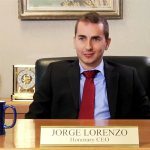 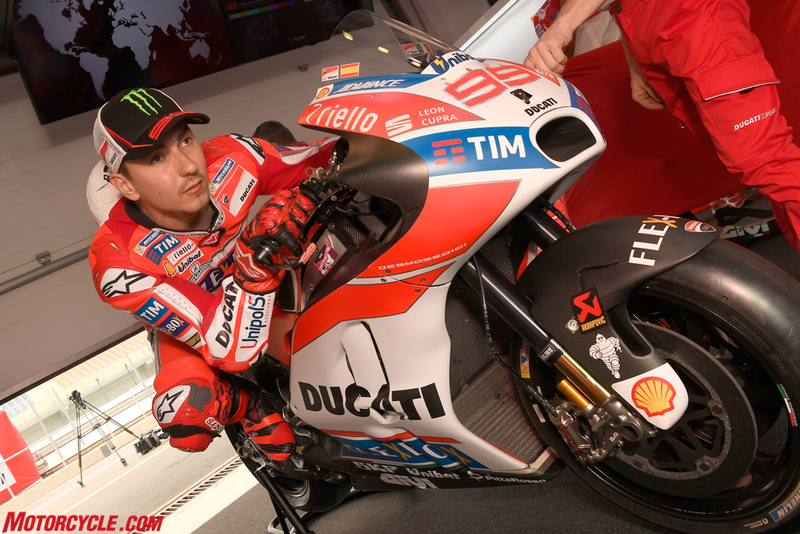 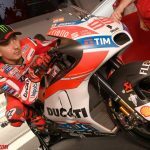 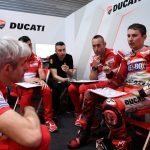 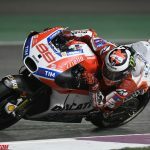 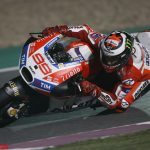 You think Jorge Lorenzo is regretting his switch to Ducati? 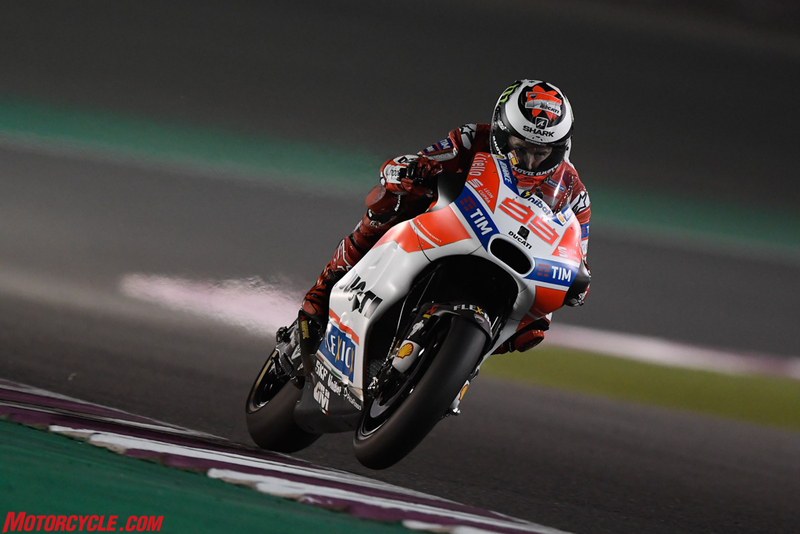 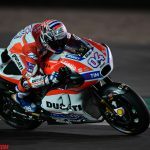 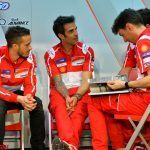 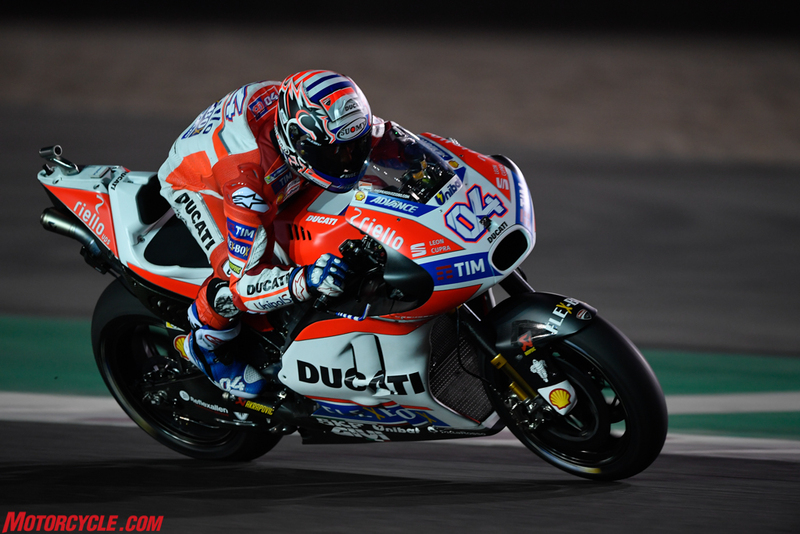 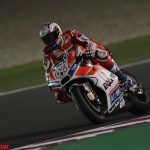 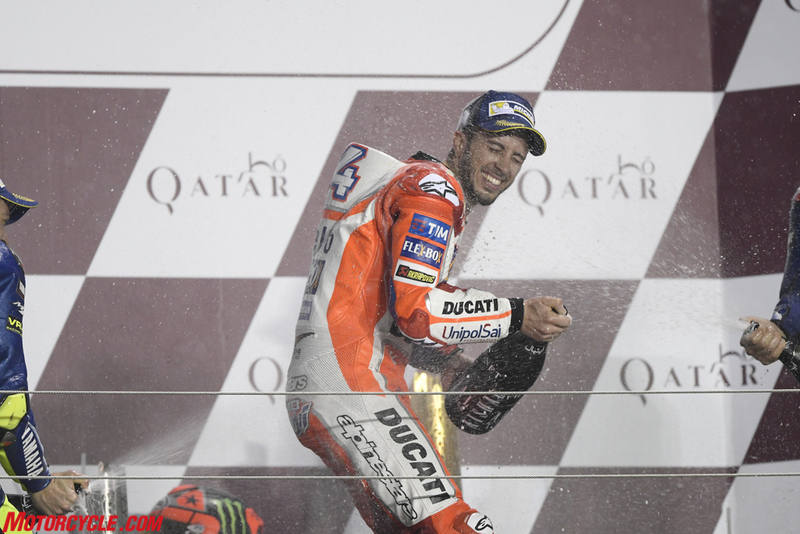 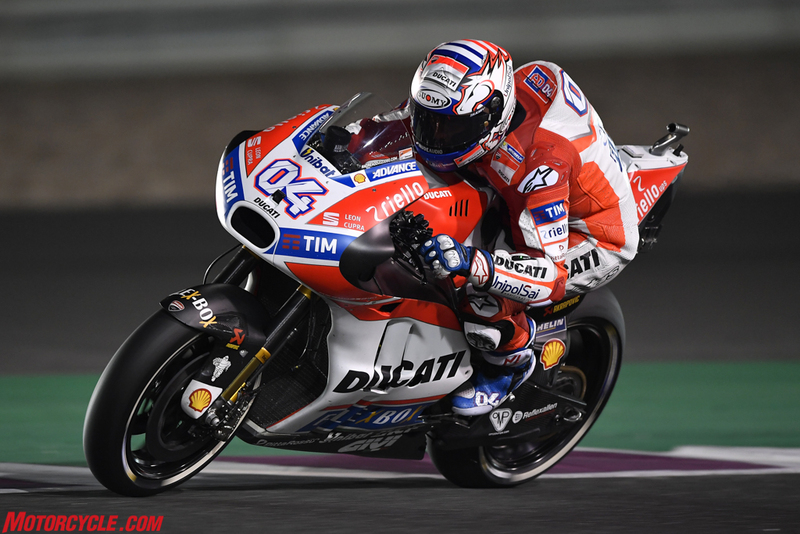 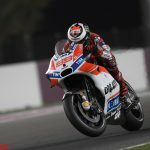 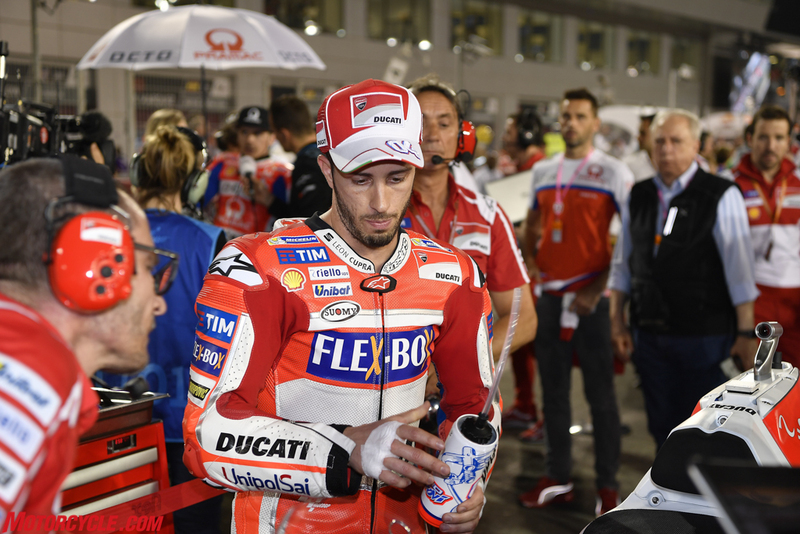 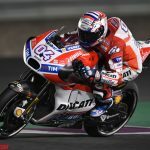 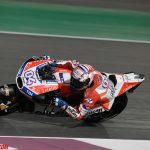 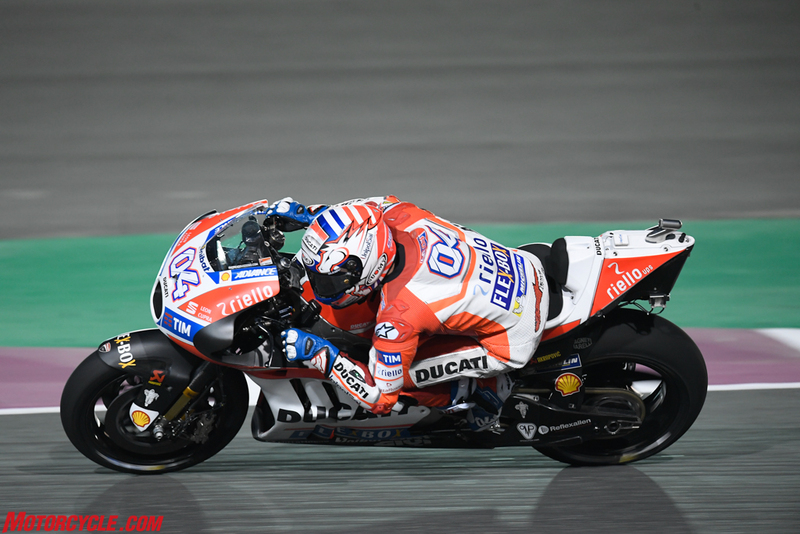 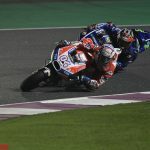 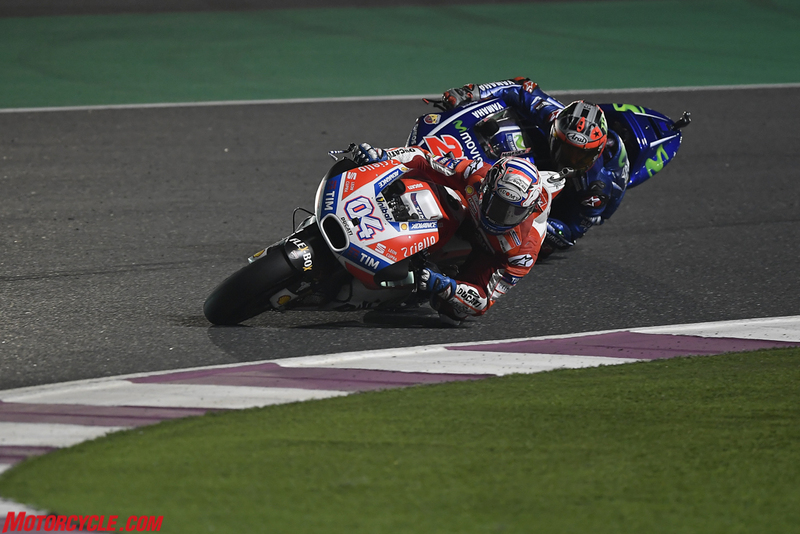 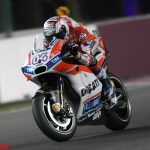 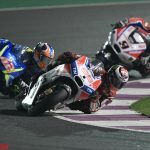 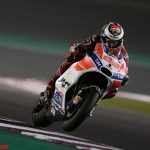 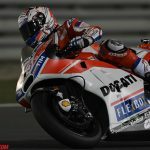 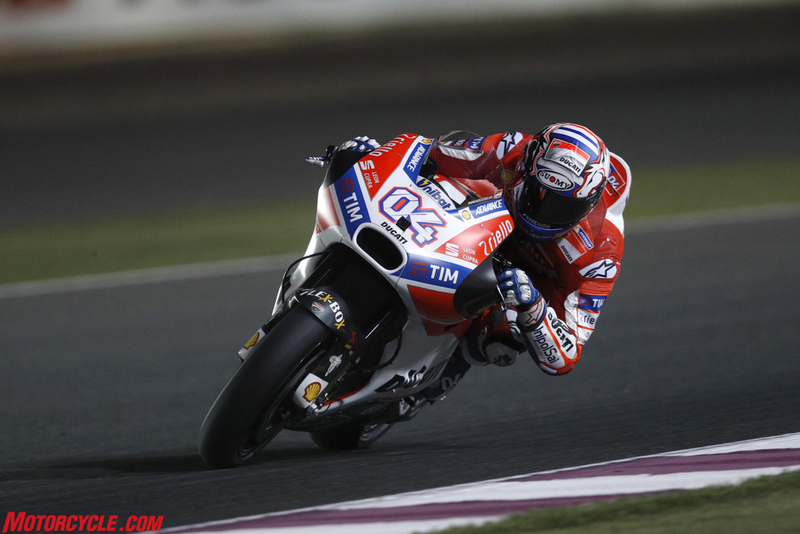 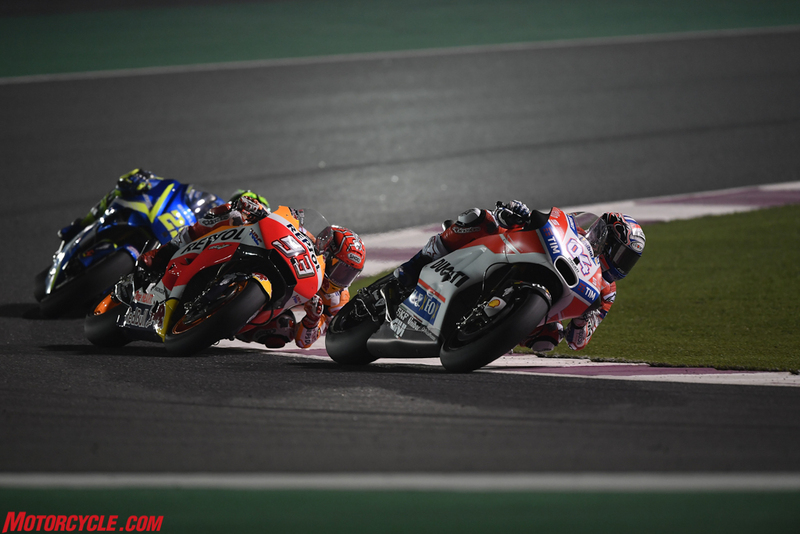 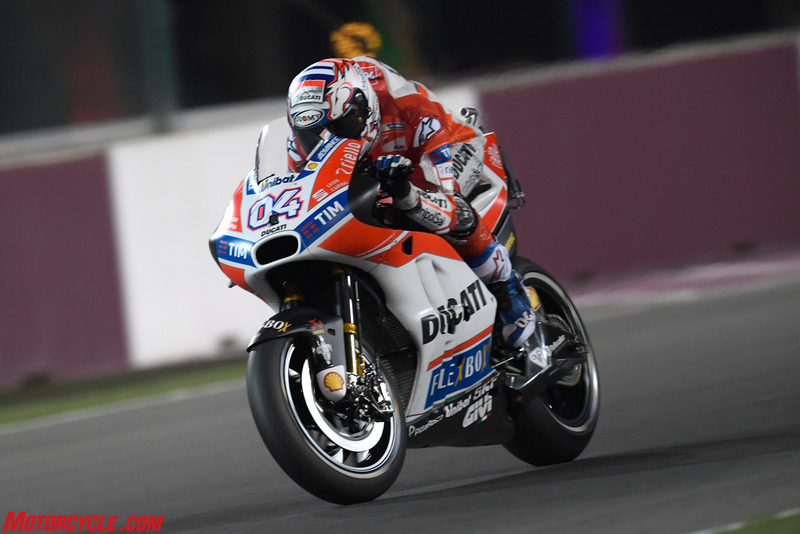 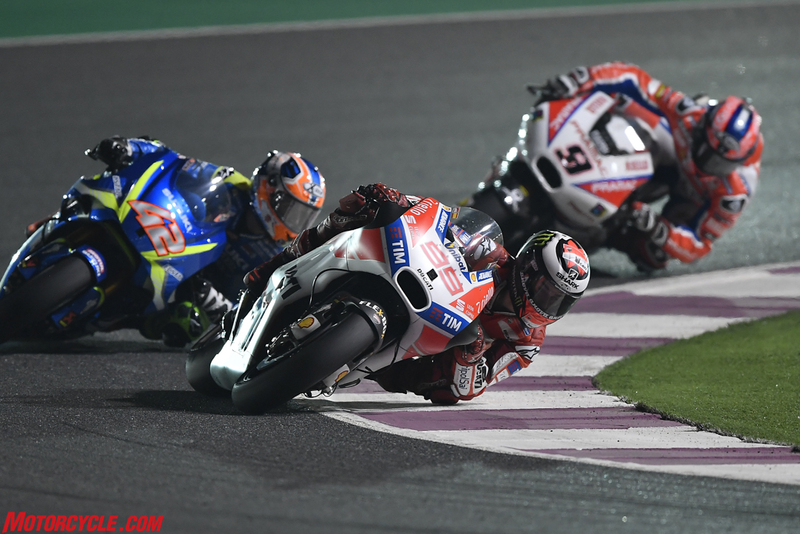 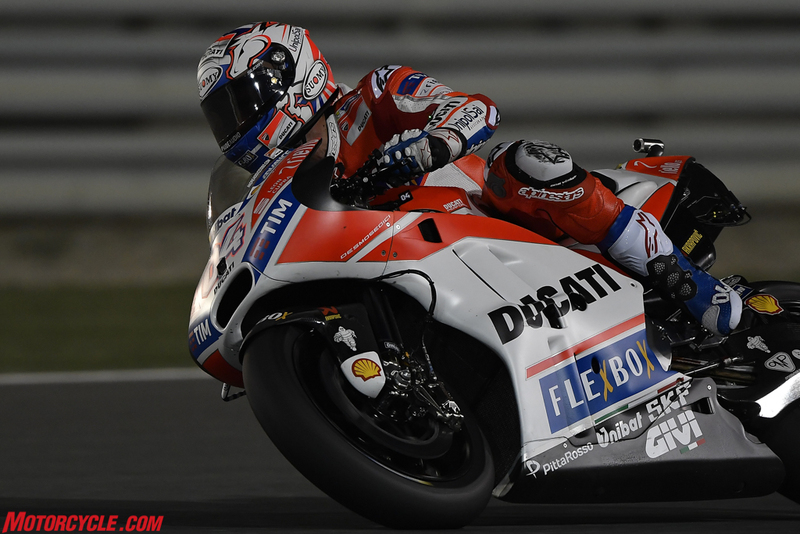 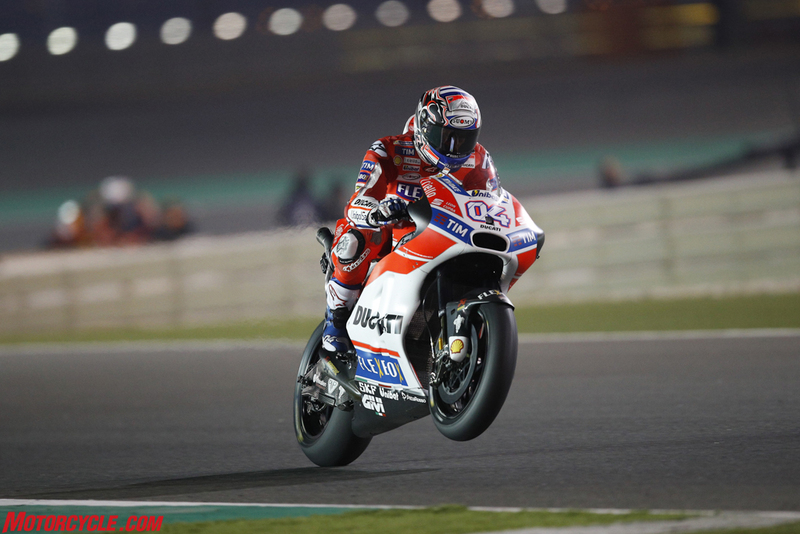 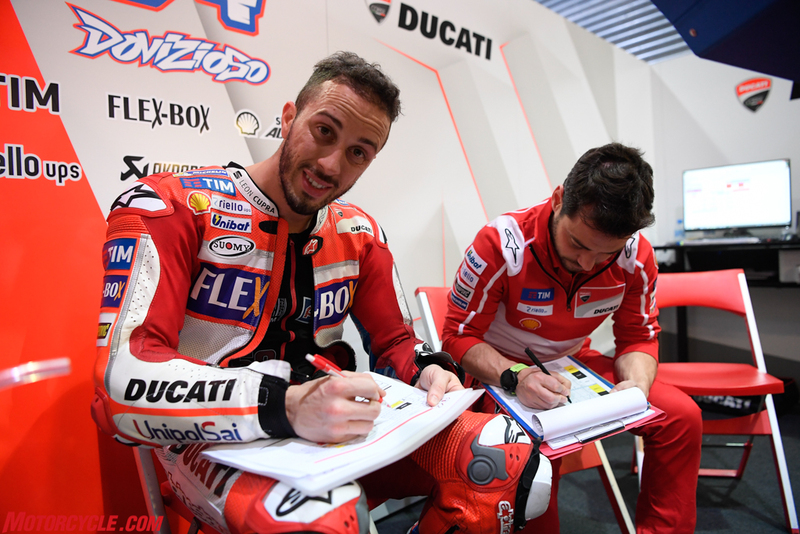 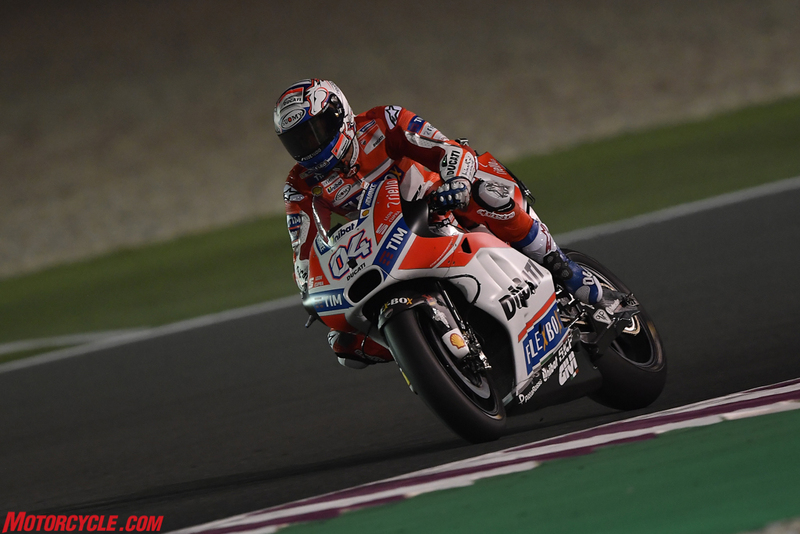 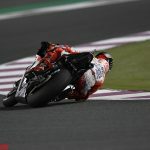 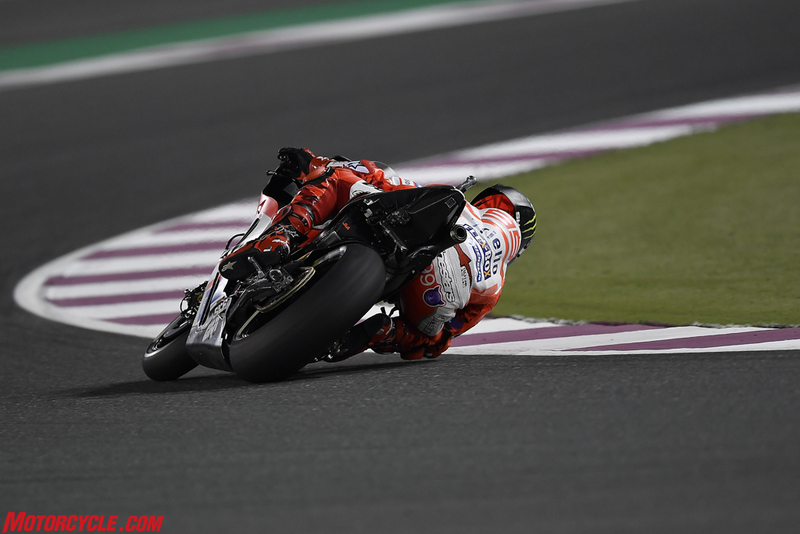 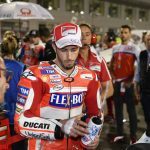 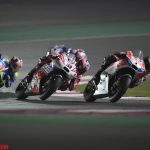 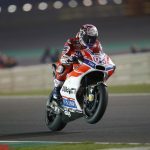 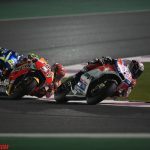 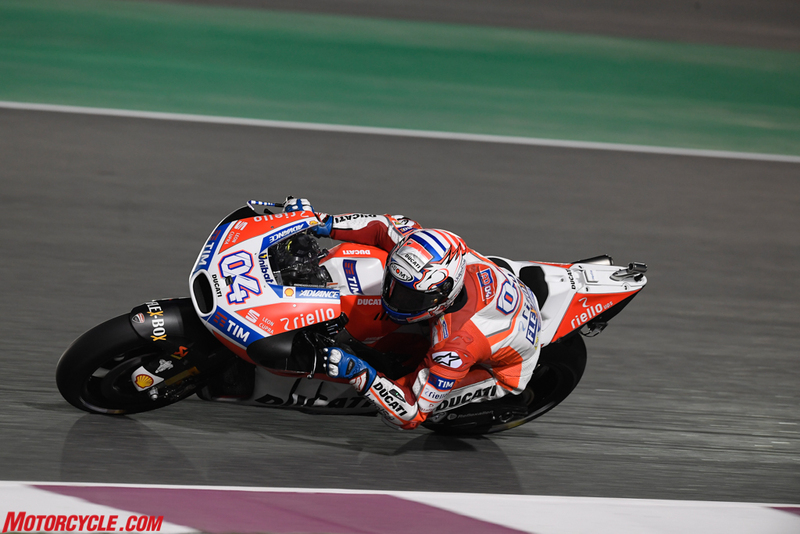 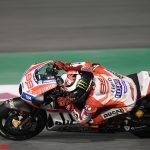 Andrea Dovizioso put in a great race today at the Losail International Circuit in Qatar to finish in second place in the opening round of the 2017 MotoGP World Championship. 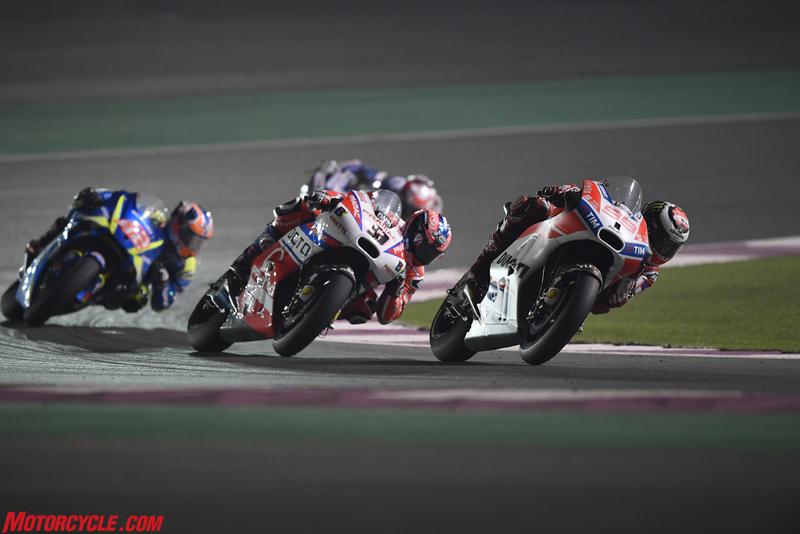 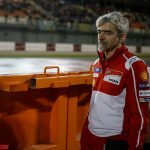 The Ducati Team rider led for several laps but had to settle for the runner-up slot, less than half-a-second behind winner Viñales, with whom he had a terrific battle throughout the second part of the race. 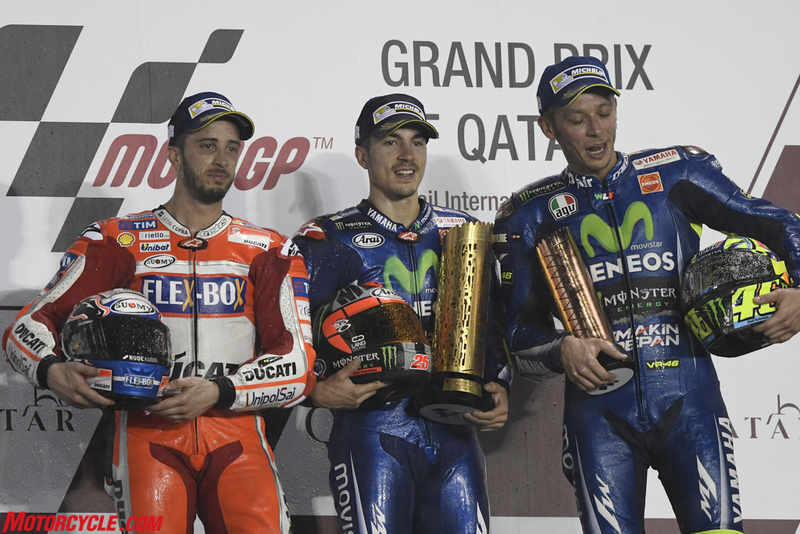 Today’s result was the third time in the last three years that the Italian rider has taken second place. 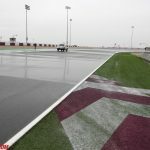 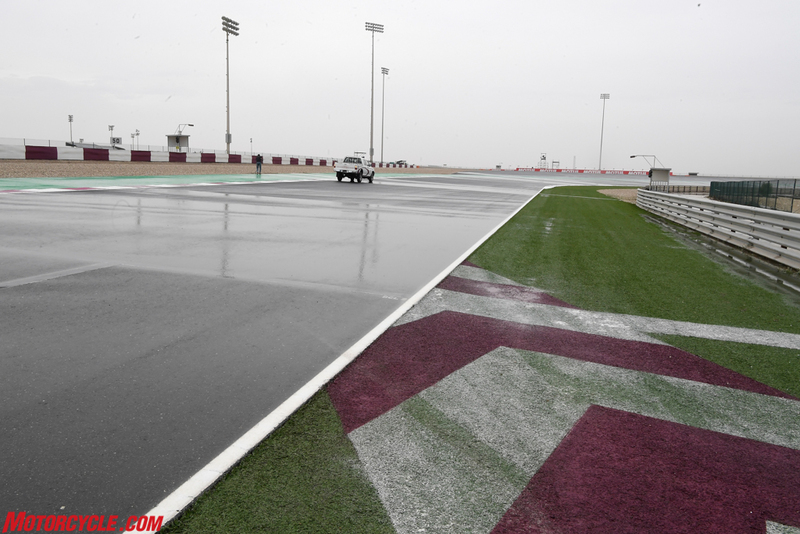 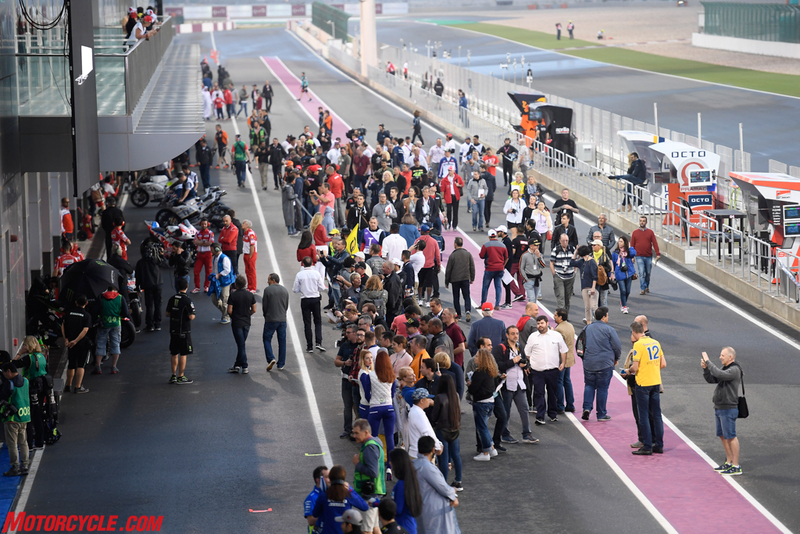 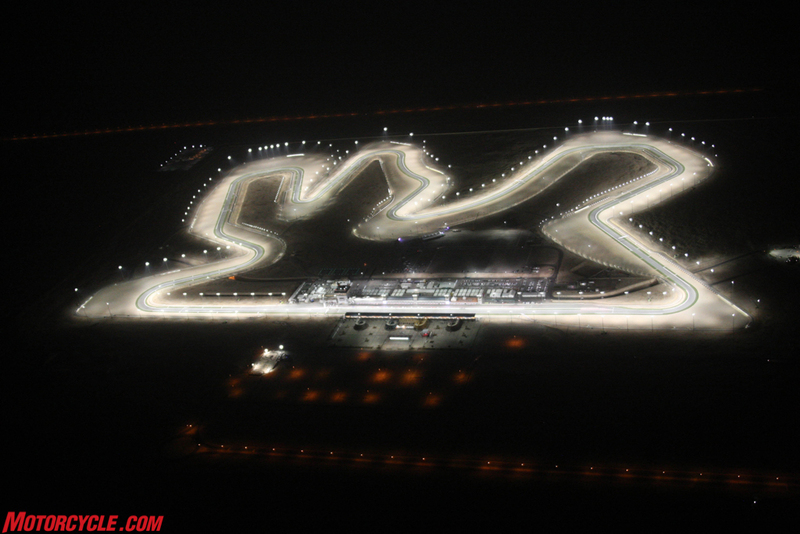 The race started with a delay of 45 minutes due to the weather conditions, and it was shortened from 22 to 20 laps. 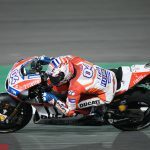 Dovizioso started well from row 2 and moved up from fourth to second in the opening six laps, taking the lead on lap 7 after Zarco crashed out. 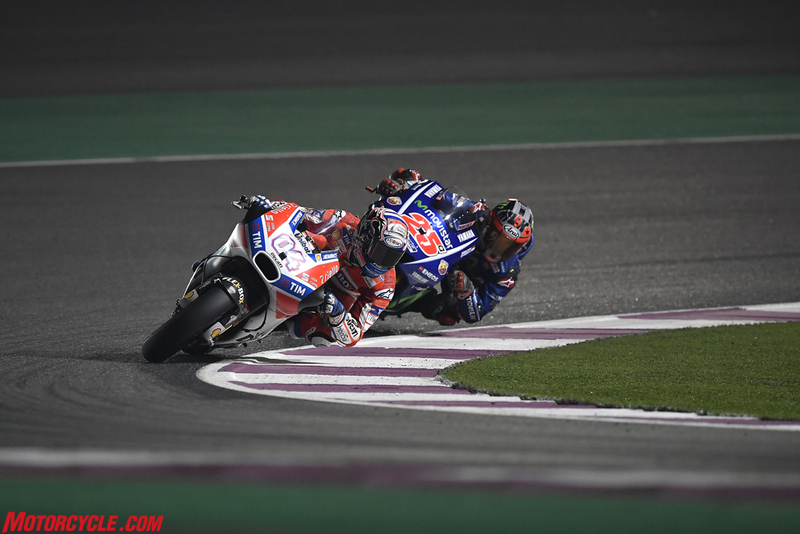 He remained in the lead until lap 13, holding off first Marquez and then Viñales, who passed him for the next four laps. 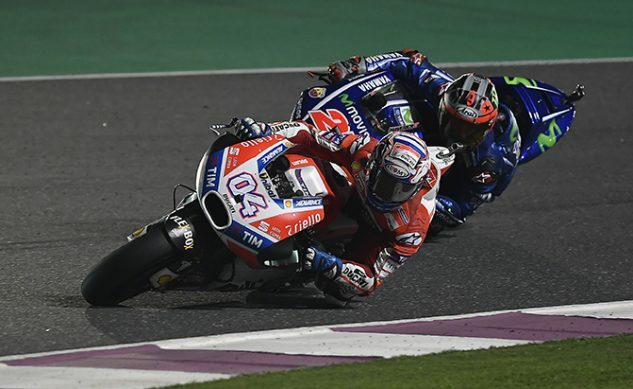 Dovizioso was again back in front of the Spanish rider on lap 17, but Viñales overtook him on the next lap and held the Ducati rider off until the chequered flag. 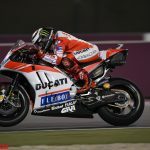 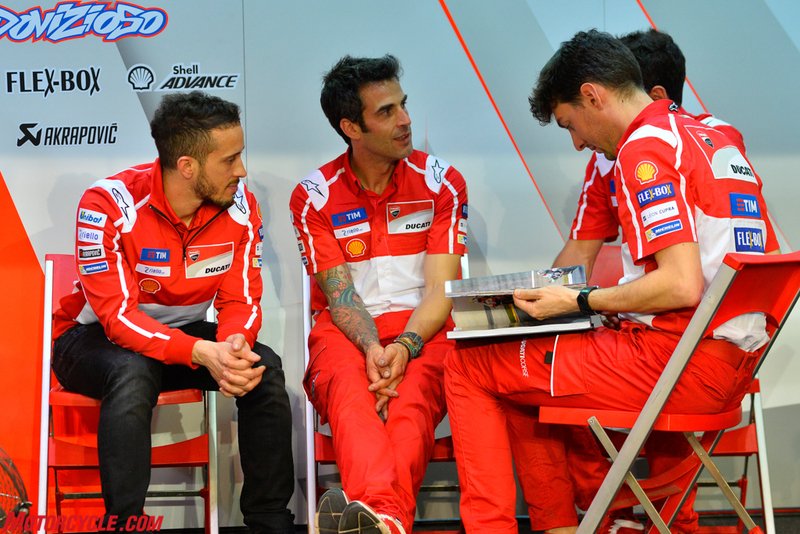 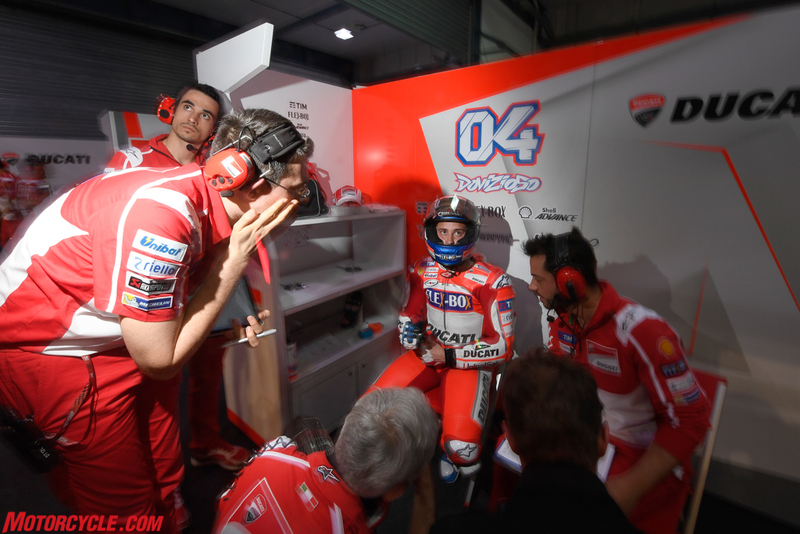 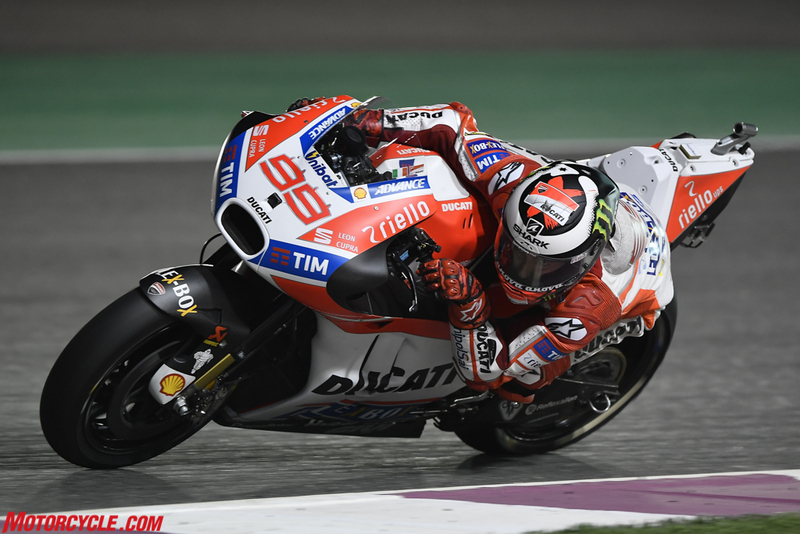 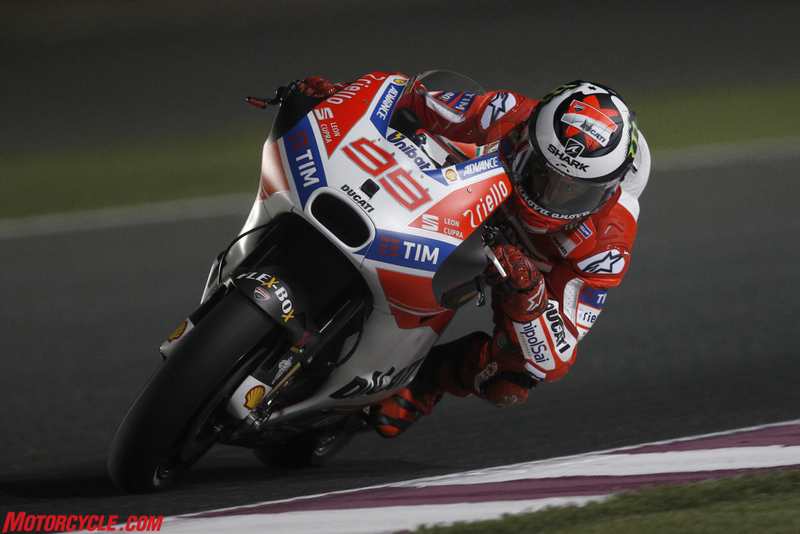 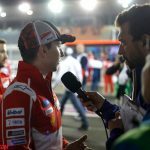 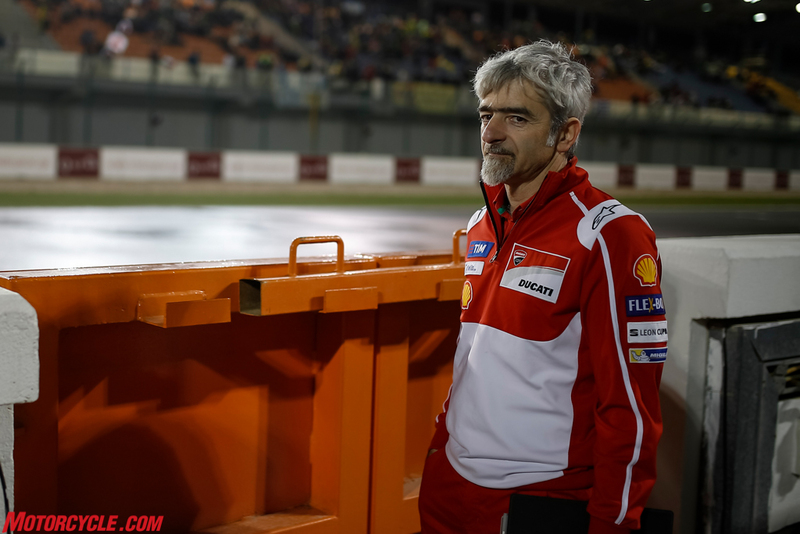 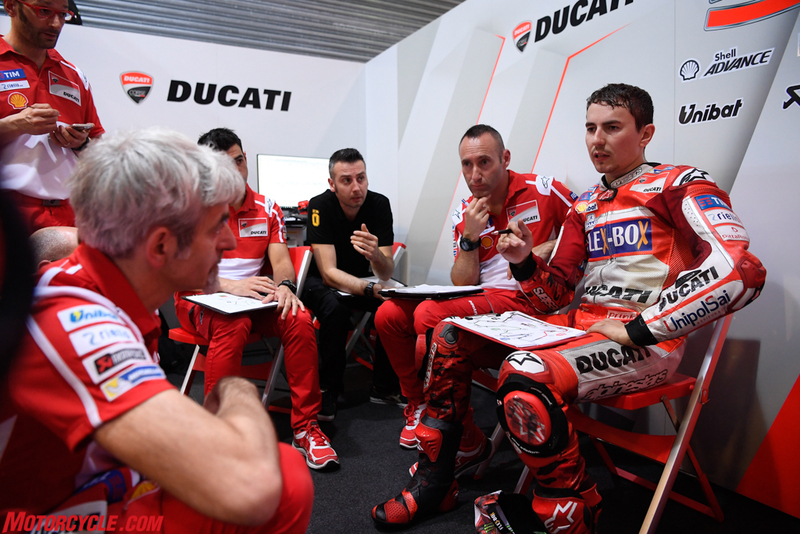 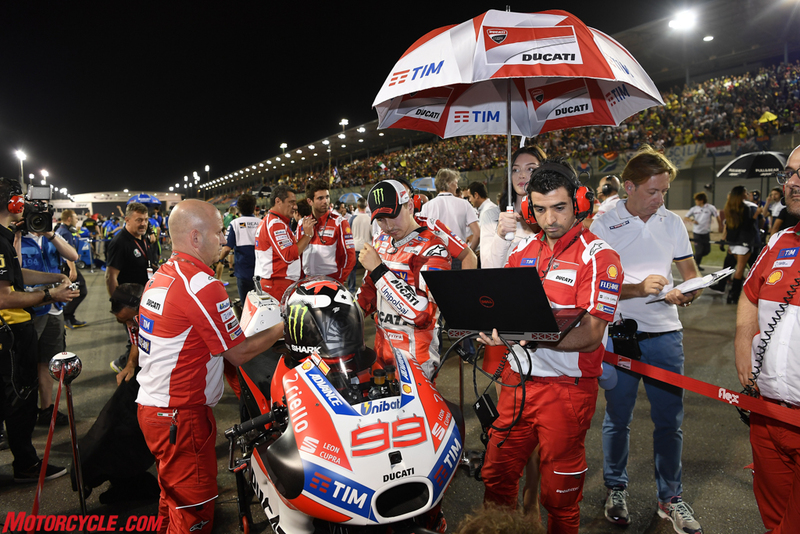 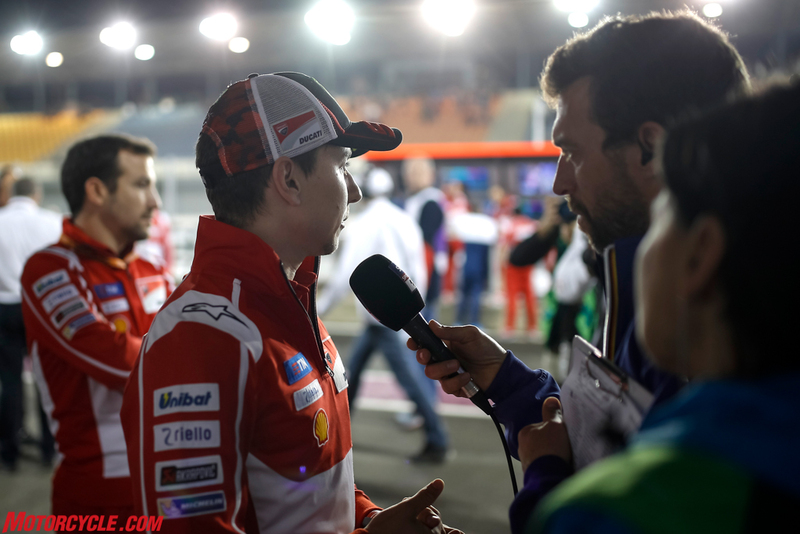 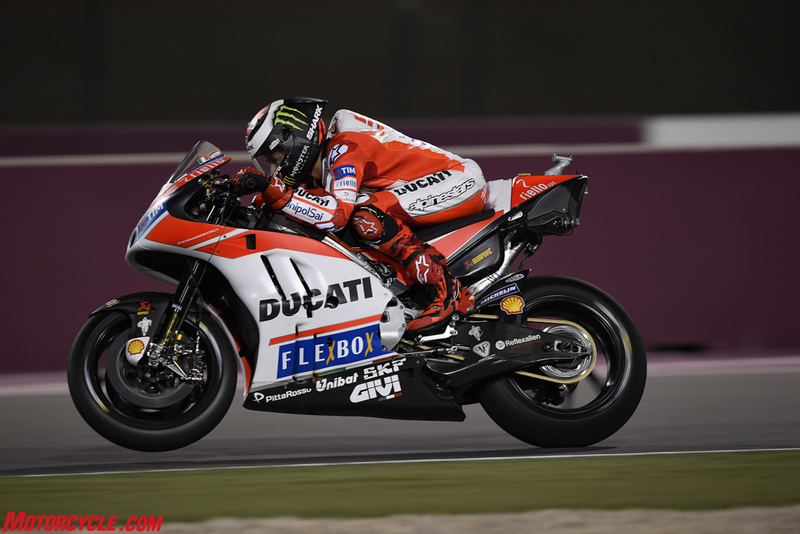 Jorge Lorenzo’s debut race for Ducati proved to be a tough one. 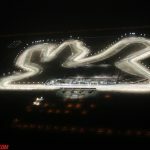 The rider from Mallorca started well from row 4, but on the opening lap he went wide at Turn 5 and dropped to sixteenth. 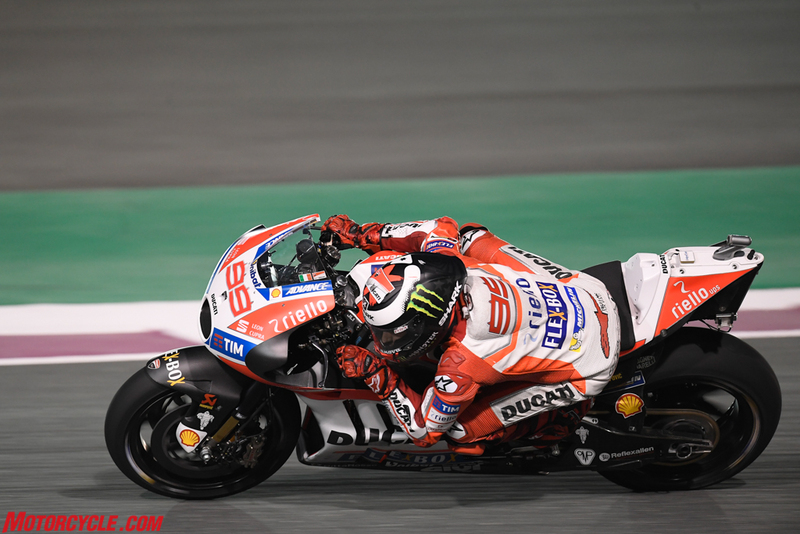 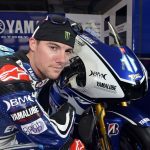 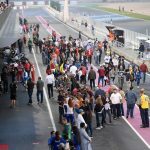 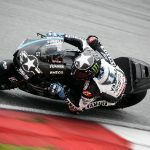 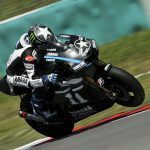 Jorge then began a recovery through the field, lapping at the same times as the leading group which took him into ninth position by the mid-point. 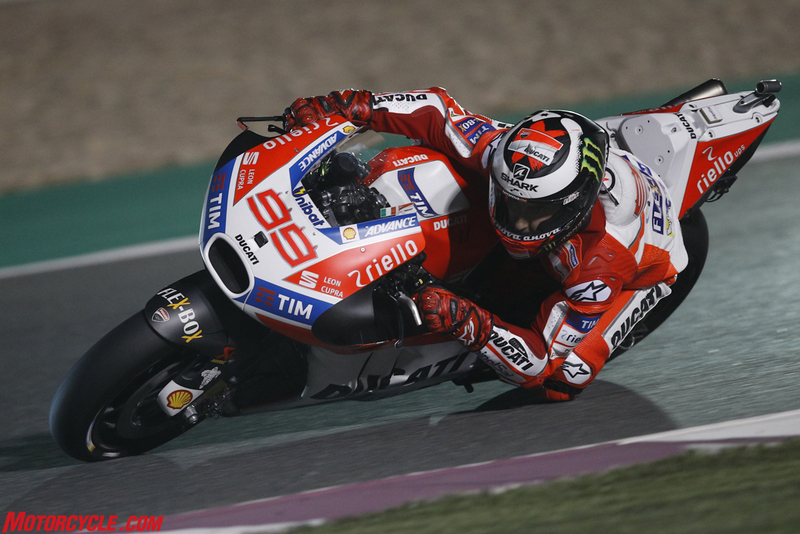 Six laps from the end however Lorenzo had to slow his pace and he finished the race in eleventh place.